Rave Mobile Safety provides the leading critical communication and data platform trusted to help save lives. Rave connects millions to those trusted to protect them, by providing innovative solutions to prepare better, respond faster, and communicate more effectively during emergencies. 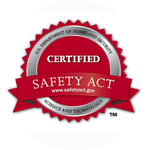 Our customers include thousands of businesses, public safety agencies, and institutes of higher education. From global corporations to universities with 100,000 students to small private institutions to 9-1-1 centers handling millions of emergency calls for service, we are privileged to work with dedicated security professionals worldwide. We’re inspired every day by our clients’ dedication to enhancing the safety of their constituents and are committed to providing our clients with the best technologies to support their mission. We are proud of our industry leading client renewal rate and the impact we’ve had on improving safety and helping save lives. Todd Piett joined Rave in 2005 and today runs the global organization that has its technology deployed at thousands of colleges, universities, businesses and communities. Prior to joining Rave, Todd was responsible for launching new products for Unica Corporation where he helped drive their successful IPO. Previously, Todd was VP of Product and Marketing for iBelong, a portal provider targeting affinity organizations and a Program Manager at Dell Computer where he launched Dell’s branded ISP. Todd graduated with honors from the United States Military Academy at West Point and holds an MBA from Harvard Business School. After graduation from United States Military Academy at West Point he served 7 years in the US Army as an aviation officer. Todd Miller manages all field operations at Rave. Prior to joining Rave, Todd managed the self-service consulting Practice at Oracle where he was responsible for the delivery of customized software solutions for clients in North America, supporting millions of users. At Oracle he was awarded recognition as a member of Oracle’s top 10% in Consulting. Todd’s previous experience includes leading consulting teams for Siebel and eDOCS in North America, Europe, and Australia. As Rave’s Chief Financial Officer, Bill is responsible for leading the company’s finance and human resources organization and implementing financial and operational plans to drive growth and extend business decisions that stretch across the company. Bill’s career spans several successful start-ups serving as CFO at MineralTree, a leader in Accounts Payable and payment automation solutions, ZoomInfo (acq’d by Great Hill Partners), a business information SaaS company, MarketSoft (acq’d by Unica/IBM) a lead management SaaS solution, NextPoint Networks (acq’d by NetScout) an IT management software application, and MediQual (acq’d by Cardinal Health) a medical software company. Prior to start ups, Bill serviced a wide range of clients as a Sr. Manager in Arthur Andersen’s audit and small business high tech practice. Brett Marceau is responsible for Rave’s development, quality assurance, and technical operations teams. Prior to joining Rave, Brett was a software architect/technical lead at Oracle where he was responsible for the architecture, design, and development of various applications. Previously, Brett was a software architect at eDocs where he designed, implemented, and consulted on the companies flagship product and was also recognized as a key contributor during the Siebel acquisition. Earlier in his career, Brett held various software engineering, team lead, and consulting roles at EMC and Daly & Wolcott. As Senior Vice President of Marketing, Richard April is a metrics-driven, hands-on leader with the ability to turn strategic initiative into positive business impact. With more than two decades of software marketing experience, including in the security, SaaS, storage, and enterprise software spaces, Richard has a supreme ability to grow brand awareness, drive demand and leverage alliance opportunities effectively and efficiently. Richard has built several marketing teams and programs from the ground up and has a track record of successfully growing revenue exponentially for early-stage companies. Passionate about uniting innovative marketing technology with established foundational practices and entrenched in shining a spotlight on the value proposition, Richard's aggressive approach helps drive revenue. Prior to joining Rave Mobile Safety, Richard leveraged his early adoption of Inbound Marketing and expertise in traditional outbound marketing as Chief Marketing Officer at IMMUNIO (acquired by Trend Micro), SVP of Marketing at Repsly and before that as SVP of Marketing at AG Salesworks. Richard was also instrumental in the launch of Copiun, a secure mobile file sharing and data management solution provider acquired by Good Technologies and led marketing efforts at security software providers Cyber-Ark (NASDAQ: CYBR) and Quarry Technologies (acquired by NexTone). Meghan is responsible for all the accounting and financial operations of the company including technical accounting, internal controls, financial reporting & compliance. Prior to Rave, she held financial leadership roles in the technology space, including Acquia, erecruit and most recently Controller at NuoDB where she was responsible for the finance, human resources and operation functions. Noah Reiter, MPA, ENP is Vice President of Customer Success for Rave Mobile Safety, where his team is responsible for ensuring customer engagement with Rave's solutions and, ultimately, their ability to impact emergency response, communications and safety through technology. He has previously served in various public sector and public safety roles, including Assistant City Manager for the City of Sandy Springs (GA), EMS Director for Grady Health System (Atlanta), and as the Director of EMS, Security, and Emergency Preparedness for Lenox Hill Hospital (NYC). Noah has been with Rave since 2011. Matt Serra is the Vice President of Product Strategy at Rave Mobile Safety. Matt has over 25 years of experience in the technology industry and is a certified Emergency Number Professional. As Rave's VP of Creative & UX, Rand lives by the belief that good design can solve almost any problem, and that its execution taps the focuses of art, human factors, digital psychology, ergonomics and the scientific method. As a result, he has built intellectual partnerships with MIT, Babson College, the Carroll Center for the Blind, Suffolk County (NY) Public Safety, Ottawa County (MI) 9-1-1, and other organizations to ensure the needs and situational realities of the user are always taken into consideration in Rave’s product experiences. In addition to his day job, Rand assists in teaching Mobile User Experience at Babson College in Wellesley, MA. Prior to joining Rave, he led various design initiatives in Fortune 500 biotechnology (Bio-Rad), retail (Staples), and healthcare (CVS Health). As Rave’s 1st full-time HR leader, Amy is responsible for the employee experience and ensuring that people and culture initiatives attract and retain top talent. While supporting business goals, Amy’s focus is to engage and empower all Ravers to do their best work. Amy has spent her career in Human Resources and most recently, for the past 7 years, has worked in fast-paced, high-growth, technology companies. Rave Mobile Safety is growing fast and needs talented and motivated individuals to join our team. Our mission is to create innovative data and communication software that organizations trust to help them save lives. Benefits include competitive salary and benefits, flexible schedules, and a challenging and exciting work environment. Our technology partners drive innovation with powerful tools that improve communication infrastructure on various platforms. Our industry experts identify trends and help to set the standards for safety and communication technology. Our life-saving products have received recognition from organizations and publications across the country, including the U.S. Department of Homeland Security. We value our customers’ feedback about our product roadmap and the future of the company. Join to share product input, best practice discussions, and peer-led sessions. Discover why our life-saving products are news-worthy and become a Rave Mobile Safety brand advocate. Speak with a Rave communications expert to learn how we can support your needs.